The sweet, crunchy crust gave way to a soft and savoury meaty filling that danced merrily on every taste bud and I just knew. I knew I was in love with Tim Ho Wan’s Baked Bun with BBQ Pork. 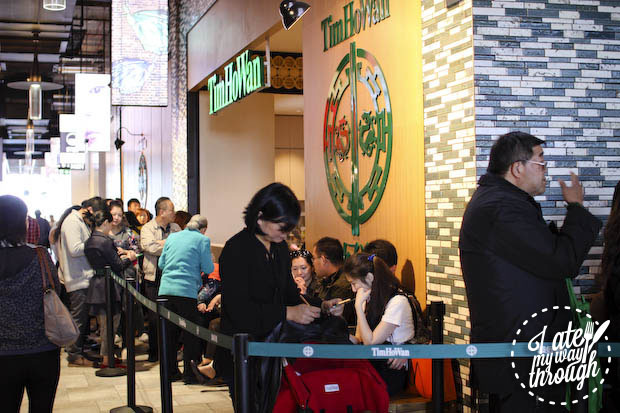 As soon as the news of Tim Ho Wan’s new Australian outlet hit the shores of Sydney, it was a given that there would be hoards of people lining up for a taste of the Michelin-starred restaurant. And this is precisely what has been happening on a daily basis since Tim Ho Wan’s “soft opening” at its Chatswood outlet on 28 March. Since being founded by Chef Mak Kwai Pui in 2009, Tim Ho Wan has opened outlets in Singapore, Taipei, Hanoi, Kuala Lumpur and Manila. 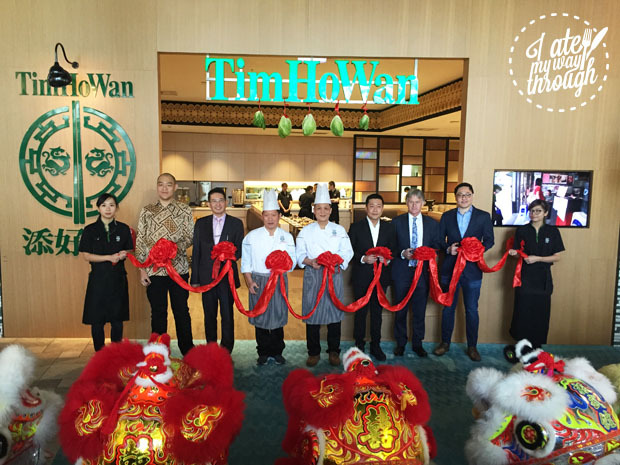 Its new Chatswood outlet marks the first Tim Ho Wan in Australia but certainly not the last, with Melbourne, Sydney CBD and Burwood in Sydney’s inner-west next on Tim Ho Wan’s list of ever-expanding global locations. Australian outlets will feature many of the same iconic dishes that have made Tim Ho Wan an international success, but with a few slight variations. The ready availability of fresh seafood and a local penchant for the sweet and sour are factors that Chef Mak says have been taken into account in creating the Australian menu. We attended Tim Ho Wan Chatswood’s grand opening and were treated to two demonstrations by Chef Mak Kwai Pui and co-founder Chef Leung Fai Keung. To watch the two chefs prepare the Pork Dumplings with Shrimp and the Baked Buns with BBQ Pork (a.k.a. my loves) is to see first-hand the immense skill and expertise that goes into crafting these famous little goodies. Chef Mak says the process of making dim sum may look easy, but a great level of experience and technique is required to ensure the filling is done properly because this lies at the heart of the dish. The same can be said of the process of making Tim Ho Wan’s pork buns. The bun wrappers were brought out in small balls of dough and were soon flattened and filled with meat. The ends of the wrapper were then pinched together before being laid down to sit in the oven for an hour. But while this may sound like a simple four step process of flatten, fill, pinch and bake, watching the fluid movements of Chef Mak and Chef Leung up close warrants a much greater appreciation of the craft involved. Both chefs move so swiftly and with such certainty that it’s clear they could do this in their sleep – and it would still be the best pork bun I’ve ever tasted. What makes Tim Ho Wan’s Baked Bun with BBQ Pork ($6.80) such a unique experience is the sweet mixture of butter, flour, egg and sugar piped on top of the baked bun before sitting for another 10 minutes in the oven. 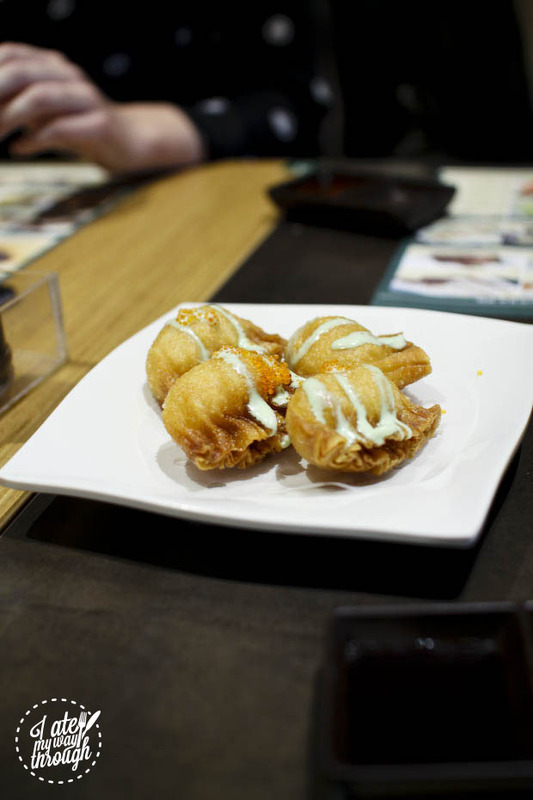 It is this addition that gives the bun its crumbly outer texture and signature savoury-sweet flavour. This pork bun makes up one quarter of Tim Ho Wan’s Big 4 Heavenly Kings, which also includes the Pan-Fried Carrot Cake ($6), Steamed Egg Cake ($5.50) and the Vermicelli Roll with Pig’s Liver ($7.50). Although we didn’t try the last of these four dishes, we were lucky enough to taste the two cakes. The Pan-Fried Carrot Cake, which heavily features turnip as a main ingredient, has a very distinct flavour that probably isn’t for everyone. But for those who do like the idea of pan-fried turnip, this dish is bound to tick all your boxes. 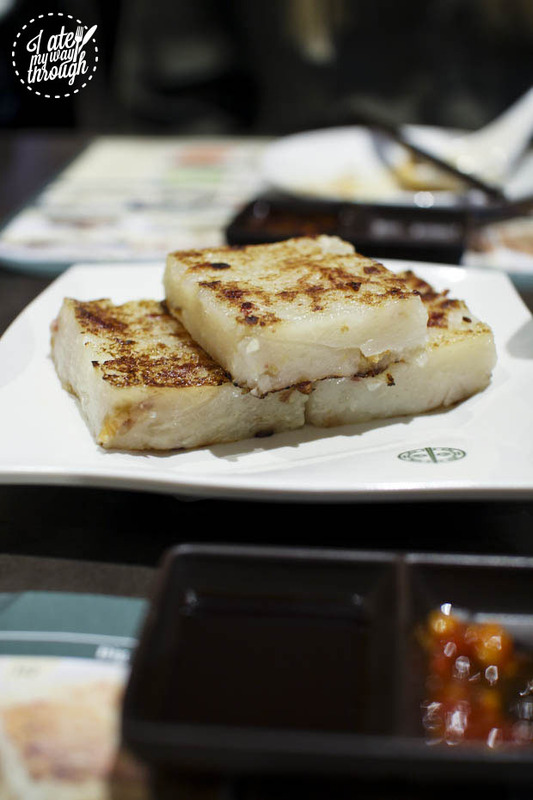 The Steamed Egg Cake, on the other hand, contrasts greatly with the turnip cake not only in appearance, but in taste and texture as well. The egg cake is extremely light and fluffy, with a subtly sweet flavour that makes it such an easy dish to finish whole. In addition to these four heavenly kings, Tim Ho Wan Chatswood features a number of tantalising dishes that are heavenly in their own right. Pork dumplings grace practically every Chinese dim sum restaurant menu, but after watching Chef Mak and Chef Leung prepare our very own dumplings, it was impossible not to gain a great appreciation of how Tim Ho Wan’s Pork Dumplings with Shrimp ($7.20) come to taste so flawless. Every single element of these dumplings complements one another perfectly, from the thin, tight wrapping to the scrumptious pork and shrimp filling. As someone who adores a bit of a crunch to my dishes, the Spring Roll with Egg White ($6) and the Wasabi Salad Prawn Dumpling ($7.80) were my definite favourites across Tim Ho Wan’s savoury range. The spring roll has a pleasant, clean flavour inside courtesy of the egg whites, while the prawn dumpling is perfectly complemented by the wasabi dressing, which adds a little kick of flavour that isn’t overpowering at all. As well as being absolutely delicious, both dishes were also divinely crunchy, which left me slightly depressed after eating both and looking down to find my plate empty. 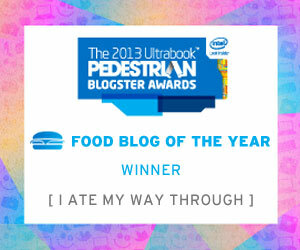 Although I do love a crunch, I am in no way prejudiced against softer textured dishes. Tim Ho Wan’s Spinach Dumplings with Shrimp ($6.80) are encased in a completely translucent wrapping, placing the shrimp and spinach filling on full display. It looks amazing and ironically adds to a reluctance to eat it because it just looks so perfectly wrapped. But when you finally do pick up the chopsticks, the strong flavour of the spinach combined with the more muted shrimp hits the palate in all the right places. It’s also undoubtedly a healthier option on the menu so its a great pick-me-up if you’re feeling guilty about all the fried spring rolls. Even if you’re not feeling guilty, it’s nevertheless a great option simply because it tastes so good. 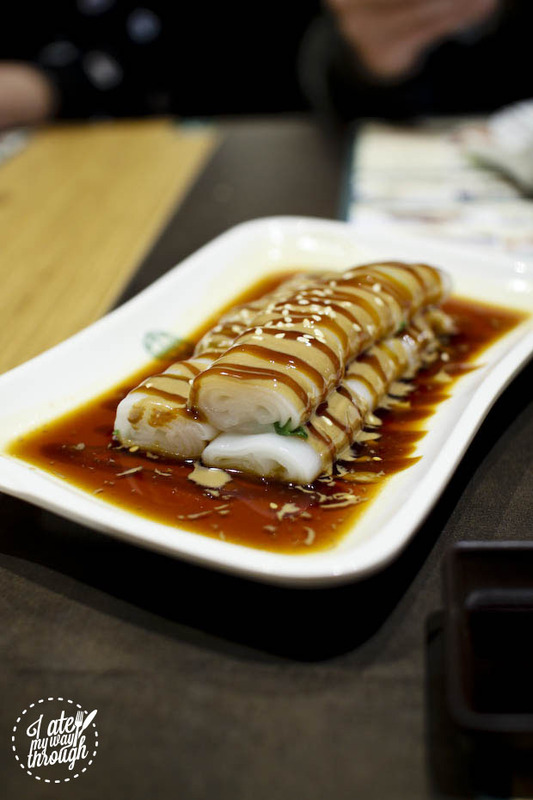 The Vermicelli Roll with Sesame Sauce ($5.80) was yet another highlight of our Tim Ho Wan Chatswood experience. The rice noodle is silky smooth and wrapped around the vermicelli which gives the dish a pleasant little crunch. The rolls are then blanketed in sesame sauce and peanut sauce, and sprinkled with sesame seeds. It looks divine, and is a dish to please your eyes and your taste buds. 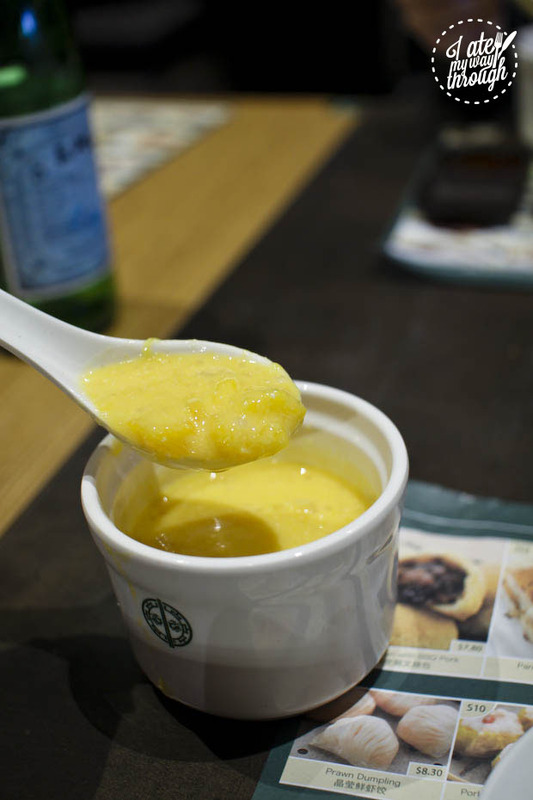 Tim Ho Wan’s two dessert options are the Mango Sago Pomelo ($6) and the Tonic Medlar and Osmanthus Cake ($5.80). Both desserts are quite light and refreshing, despite having completely varying flavours and elements. The Mango Sago Pomelo stays true to its name, with large chunks of mango interwoven with the tiny sago pearls. This cold, soup-like dessert tastes fresh and only slightly sweet, making it a perfect dessert after the much heavier savoury options. 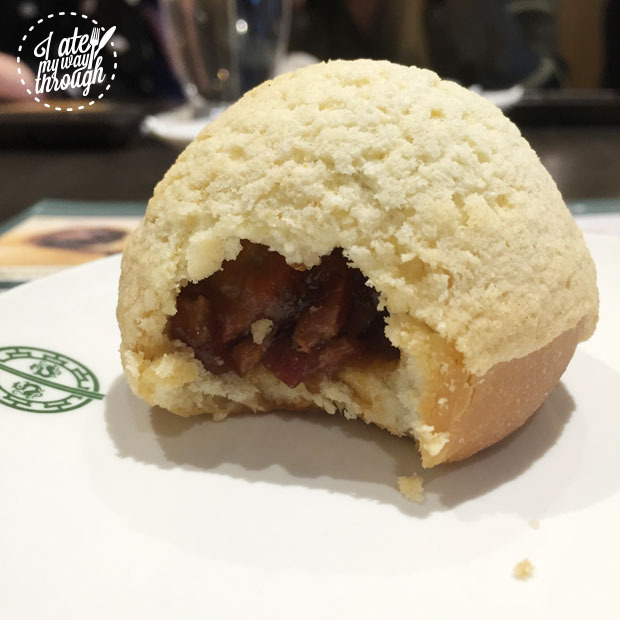 The Tonic Medlar and Osmanthus Cake is probably the most visually stunning piece on Tim Ho Wan Chatswood’s menu. 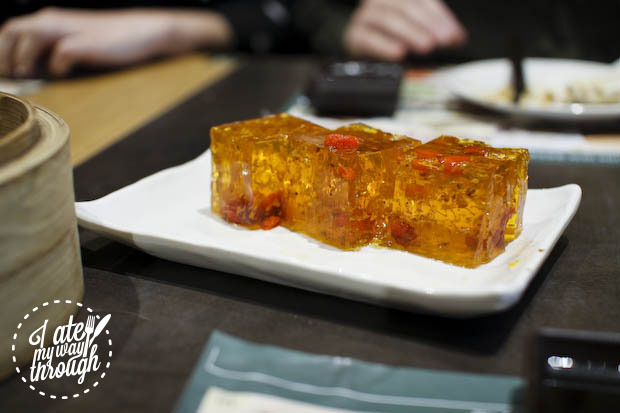 The “cake” is more like a translucent, amber-tinted jelly, with osmanthus flowers and ripened medlar encased within. Its sweetness is even more subtle than the Mango Sago Pomelo, once again providing a great departure from the heavier dishes on the menu and a perfect, satisfying end to a high quality dining experience. Tim Ho Wan Chatswood’s long queues don’t appear to be shortening any time soon, and it’s easy to see why this is the case. With a reputation as Hong Kong’s most famous dim sum and as the world’s cheapest Michelin-starred restaurant, Tim Ho Wan has earned its place in the minds, hearts and stomachs of diners. And after tasting Tim Ho Wan’s famous Baked Bun with BBQ Pork, all I know is that no pork bun will ever compare.